The following are links to some of our main suppliers and their products. Polytec have a wide range of melamine board to choose for doors, Thermolaminate designs and colours for doors as well as Laminate benchtops to choose from. There is also a useful DESIGNER page where you can apply the colours and finishes to virtual kitchens. Laminex has a wide range of melamine board in different colours and finishes for doors and a very large selection of Laminate benchtops. 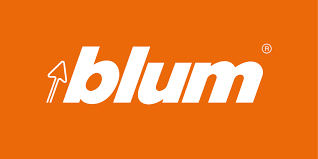 Blum are the producers of the drawer systems and door lift systems that we use. For drawers we most commonly use the Metabox and Antaro system. The lift doors are HF and HK systems. Central Coast granite is based in Somersby and we have had a very close working relationship for many years and we have absolute confidence in their work. Their site has links to all of the stone brands that they carry. Nover is located in Tuggerah and have a wide range of wireware baskets, handles and other useful products. Furnware has a wide range of handles in many finishes also many pullout ideas. Tesrol are a Thermolaminate door supplier who have a VISUALISER page on their site to play with colours.